According to recent reports, the next fuel price adjustments will be effected tomorrow, which will see many petrol stations in South Africa bumper to bumper with cars wishing to fill up as soon as possible. During the current fuel price review period (31 May 2013 to 27 June 2013), the Brent crude oil prices increased on average by 1.0 USD/barrel, therefore the impact of the crude oil price on the Basic Fuel Price (BFP) was minimal. Strong demand for diesel and petrol in Turkey and North Africa, respectively, as a result of inventory stocks build-up. During the period under review (31 May 2013 to 27 June 2013), the Rand weakened sharply against the USD and contributed to an increase in the BFP by at least 57.0 cents per litre. The weaker Rand is mainly attributed to the slowdown in the economic growth in emerging markets and the expected slump in the demand of commodities. The Rand’s vulnerability was also due to negative sentiments emanating from concerns over anticipated labour disputes and market expectations of industrial actions. 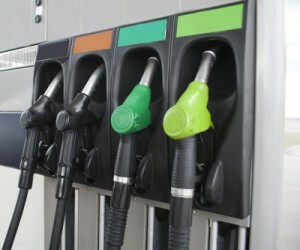 Adjustment to the Slate Levy on petrol and diesel In line with the Self-Adjusting Slate Levy Mechanism, the Slate Levy on petrol and diesel will increase from 4.38 c/l to 6.58 c/l and will be implemented into the price structures of petrol and diesel with effect from 03 July 2013.